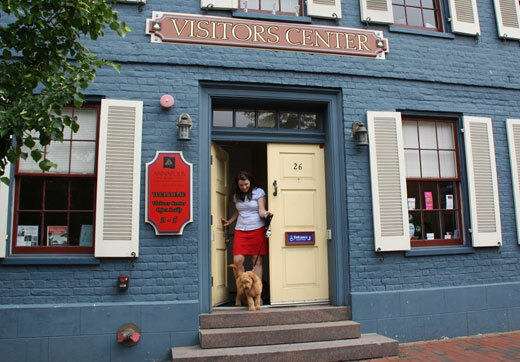 The Annapolis Visitors Center has everything that you need for your visit. Drop by the center, located at 26 West Street, to pick up an event calendar, brochure, or map, or speak with one of the information specialists for tips and recommendations. The Visitors Center is open daily from 9AM – 5PM, except on Thanksgiving, Christmas, and New Year’s Day. The center is within easy walking distance from every point of interest in Annapolis. Visitors to the center also receive one free hour of parking at the Gott’s Court Garage.